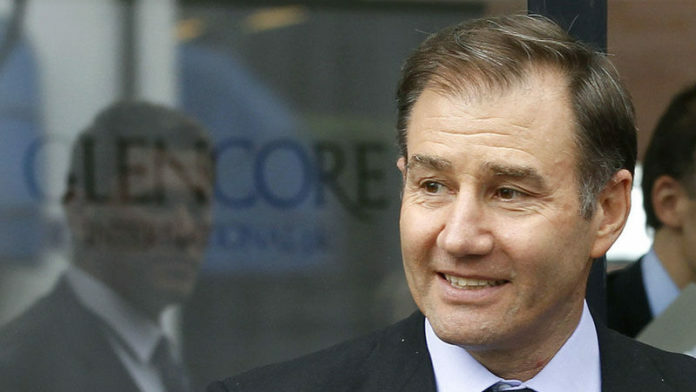 GLOBAL commodities marketer and miner, Glencore, will spend about $300m more a year on capital expenditure (capex) over the next three years than previously forecast as it intends to re-invest in expansion options delivering fast payback, CEO Ivan Glasenberg said on Monday. Capex across all its operations will rise to $5bn next year from $4.8bn in 2018 and will be about $4.9bn in 2020, it said. This includes increased spending at Collahuasi copper, Alen Gas Equatorial Guinea and Cameroon OAK field development, Hail Creek coal, extensions at Mt Owen and Integra, and a new jumbo cell house at Asturiana de Zinc. Glencore announced the changes on an investor update call, when it also announced new managerial appointments, including Peter Freyberg as head of industrial mining assets, a newly-created position. Gary Nagle, who previously headed Glencore’s alloys division in South Africa, replaces Freyberg as head of coal and will move to Australia, while Japie Fullard will head the ferroalloys division. Glasenberg said the global mining industry was not making significant capital investment and spending was mainly on sustaining, not growing output. Yet demand for most commodities remained solid and inventories, especially for copper, nickel and zinc, were at record lows. There was not enough new production coming on line in the next few years to meet growth in demand. Glencore has revised downwards some production growth forecasts over the next three years for copper, cobalt and nickel, but upgraded output forecasts for coal and zinc. Glencore CFO, Steven Kalmin, said Glencore’s copper production will rise less than expected from 2019 to 2021, to about 1.54 million tonnes (Mt) by 2021 from 1.465Mt in 2018, for several reasons. Mopani’s ramp up will be slower than expected. Glencore has sold Punitaqui and is making changes at Mutanda as the mine’s transition to sulphide ores will be faster than previously thought. Cobalt output will be less than expected in 2019 to reflect the Katanga cobalt plant ramp up. A small reduction in forecast nickel output this year reflects ramp ups at Sudbury’s Integrated Nickel Operations (INO) and Koniambo Nickel (KNS). Coal production will be 2Mt more in 2019 and 3Mt more in 2020 than previously guided, as a result of the acquisitions of Hail Creek and Hunter Valley Operations (HVO) and the normalisation of operations at Prodeco. Zinc production in 2019 and 2020 will benefit from increased output from McArthur River and new developments coming on stream in the next two to three years. Glencore has revised down its adjusted earnings before interest and tax (EBIT) guidance for its marketing business for 2018 to $2.7bn from “the higher end” of the $2.2-3.2bn range. This reflects the impact of legacy alumina contracts and some customer non-performance on cobalt contracts. The longer-term forecast remains at $2.2-3.2bn. Glencore’s shares firmed in London and Johannesburg after the investor call, but they remain undervalued compared to some of the other global miners. Asked about the discount, Glasenberg said there were two possible issues. One was that the market appeared sceptical that thermal coal prices would remain at current levels and the other was uncertainty about Glencore’s operations in the Democratic Republic of Congo. All Glencore could do was continue to generate free cash, pay dividends and make share buybacks. Over time, the share price “will slowly take care of itself”, he said.